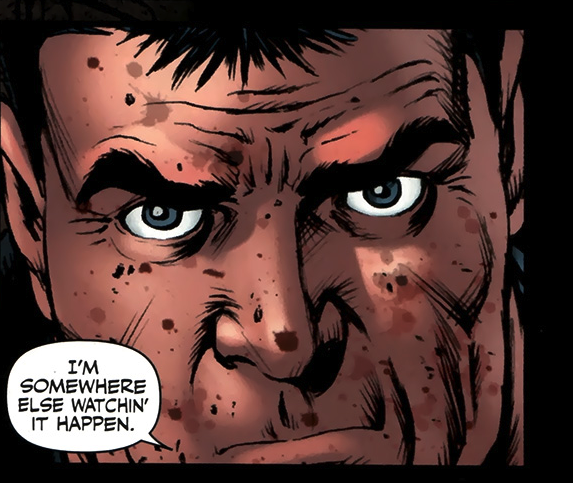 As Garth Ennis puts to rest The Boys (with the finale a few issues away), it is interesting to see elements of Billy Butcher in other work that Ennis has done. If we go back as far as 1995, maybe we see the proto Billy Butcher, and maybe the kernel of the idea that eventually became The Boys? 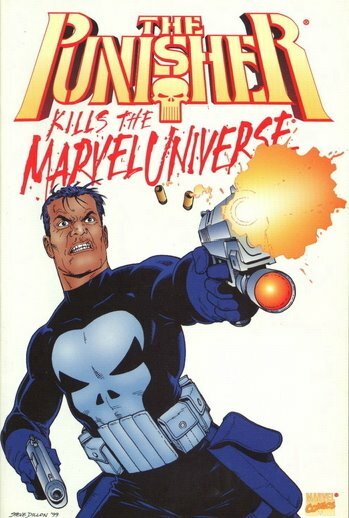 In ‘The Punisher Kills The Marvel Universe’, the title is probably the most spoilerific spoiler that I have known in comics. The contents are well described by the title. I will not elaborate much more on the plot, merely to say that the (ahem) ‘trigger’ for Frank Castle’s rampage of revenge, is the loss of his loved ones by the actions of Superheroes. Sound familiar? That’s probably because, if you read The Boys, that is exactly the same scenario that gives Billy Butcher and Wee Hughie their drive and motivation. The main motivation of Butcher, seemingly, is to kill all the Capes, just like Frank. 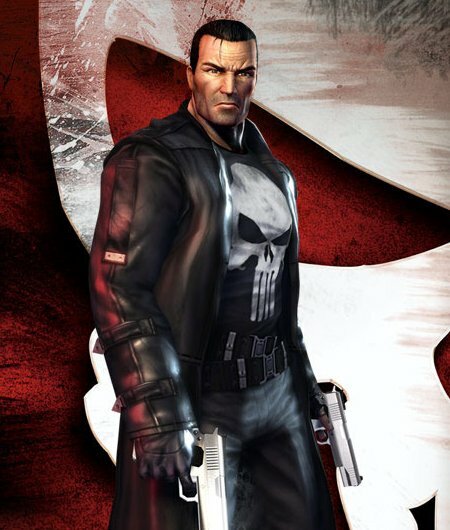 The Punisher Kills the Marvel Universe is one of those ‘What-If?’ scenarios taken to the extreme. 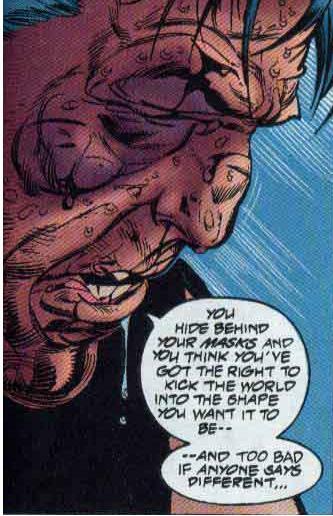 It is funny if you get the Garth Ennis black humour, and his love of putting Superheroes through a metaphorical mincer. He may have even put a superhero through a mincer for all I know. Anyway, this Marvel one-shot is well worth your time. 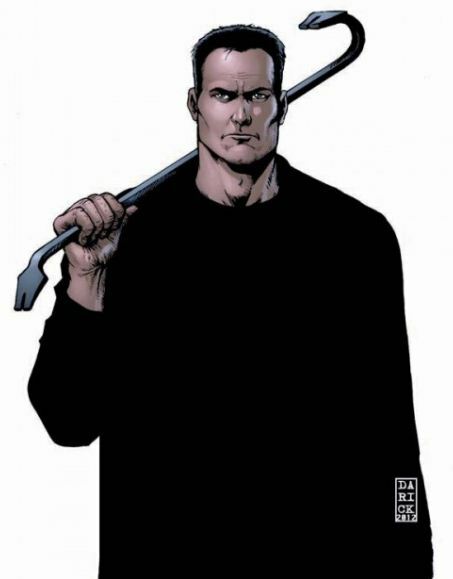 http://www.craveonline.com/comics/reviews/150418-300-words-the-punisher-kills-the-marvel-universe – Someone doesn’t like this Punisher one-shot, and has a bit of a rant. Someone bothered to leave a couple of comments, which are the perfect coda to the review. Funny. The Boys 59 was the best thing in comics for many months, and it was all down to a single panel (spoilers)…. ….and that was the dead-eyed stare of Butcher (excellently captured by artist Russ Braun) as he did what he did in The Boys issue 59. As we approach the endgame of this (mostly) fantastic series, this issue, and specifically the last few pages, were pivotal. Whether Ennis just plunges all and sundry into war now, or he pulls back for a little while, lets the tension mount, is unclear. But when Ennis does brutal, he really captures the depravity and senselessness, puts a knot in your gut. ‘The first bad day’ as The Frenchman proclaimed the events of issue 59, is merely a portal into much worse to come.